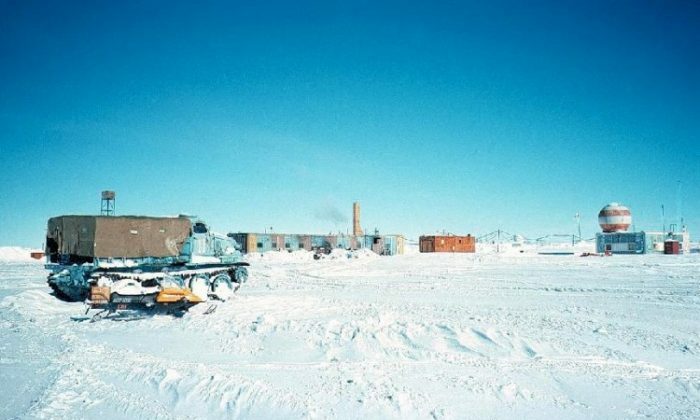 Vostok Station in Antarctica is one of the coldest places on Earth. The Russian research station is where the lowest recorded temperature was taken at -89.2 degrees Celsius (-128.56 Fahrenheit). Antarctica is not only the coldest place but also the windiest and has the highest overall elevation of any continent in the world. Despite the fact that Antarctica contains 90 percent of the ice in the world, it receives almost no rainfall, making it technically a desert. Everyone knows Russia is cold. Oymyakon, Russia is the coldest inhabited place in the world. The lowest temperature recorded there is -71.2 degrees Celsius (-96.16 Fahrenheit). This small town has a population of approximately 500 people. Although it’s very cold there in winter, people still continue to live their lives and students attend school, unless it gets lower than -52 degrees Celsius (-61.6 Fahrenheit). Sometimes it gets so cold at night that birds freeze. Another very cold town in Russia, Verkhoyansk, has a population of around 1,400 inhabitants. The lowest temperature ever recorded there is -69.8 degrees Celsius (-93.64 Fahrenheit). Between the 1860s and early 20th century Verkhoyansk was used to house political exiles. In our list, Greenland holds the fourth position for the coldest place on Earth. It is also the coldest region in the Western Hemisphere. The lowest temperature recorded in North Ice is -66 degrees Celsius (-86.8 F.). North Ice is a British research station located in the middle of the Greenland ice sheet. Snag is located in the Yukon Territory in Canada. It is the coldest place on the North American continent. The lowest temperature recorded in Snag is -63 degrees Celsius (-81.4 F). Snag gets cold because the mountains block the warm air from the Pacific Ocean. The cold air from the mountains finds its way down to Snag. Due to its special geographical characteristics, you can hear people from miles away when out of doors in Snag. The name of the place says it all. Located in Southeastern California, Death Valley is the hottest, driest, and lowest place in North America. The hottest temperature recorded in Death Valley is 56.7 degrees Celsius (134.06 Fahrenheit). Although Death Valley is very hot during the day, at night the temperature often drops below freezing. Al’Aziziyah, located in Northwest Libya, is one of the hottest habitable places on Earth. On Sept. 13, 1922, a high temperature of 57.8 degrees Celsius (136.04 Fahrenheit) was recorded in Al’Aziziyah. Later, experts discounted the reading, mainly because they said the person who took it was untrained, but the area is still considered one of the hottest in the world. Libya is a hot place; Ghudamis is an oasis town on the west of Libya. The highest temperature recorded in Ghudamis is 55 degrees Celsius (131 Fahrenheit). People build their houses out of lime, palm tree trunks, and mud in order to survive the brutal heat and sandstorms. Kebili is also an oasis town located in central Tunisia, Africa. It is considered to be the fourth hottest place in the world with the hottest day ever recorded at 55 degrees Celsius. Kebili is also known for its excellent dates, reportedly some of the best quality dates in the world. Timbuktu is located in West Africa in Mali. It is one of the most famous places in Africa. The temperature can get as high as 54.5 degrees Celsius (130 Fahrenheit). Timbuktu was a center of scholarship of key importance during the spread of Islam in Africa. There are the three notable mosques of Djinguereber, Sidi Yahya, and Sankore in Timbuktu and one of the world’s greatest collections of ancient manuscripts. What are the largest islands in the world? Find out here. A great many animals of various sizes and colors once roamed freely through the heart of America.